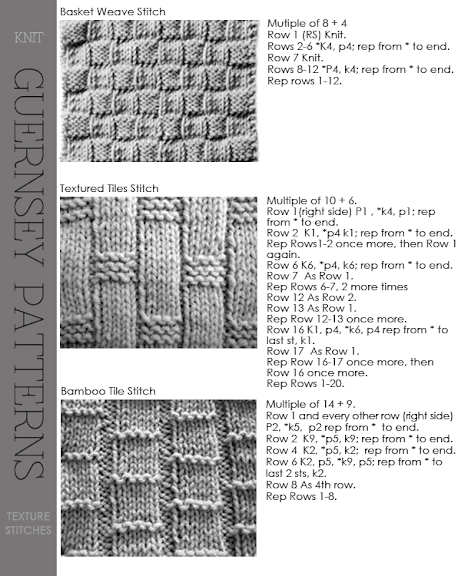 What is a guernsey design? 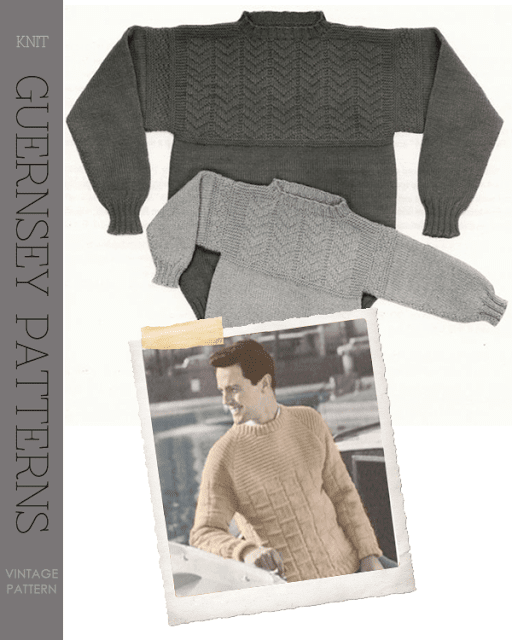 A guernsey, or gansey, is a seaman's knitted woollen sweater, similar to a jersey, which originated in the Channel Island of the same name. 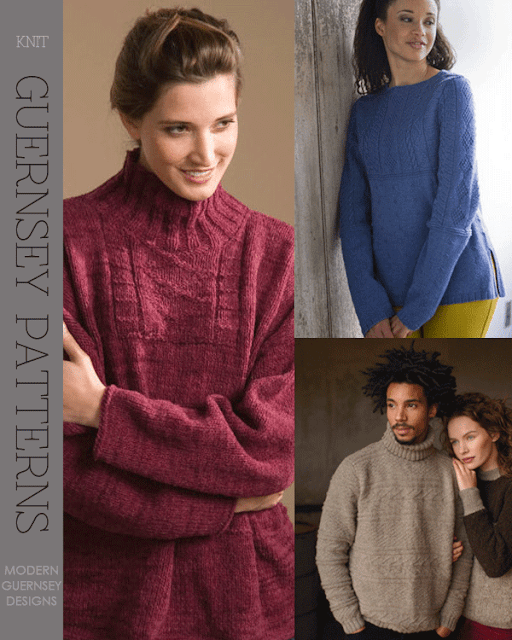 Guernseys are found all along the English and Scottish seacoast, incorporating more complex patterns the further North you go. 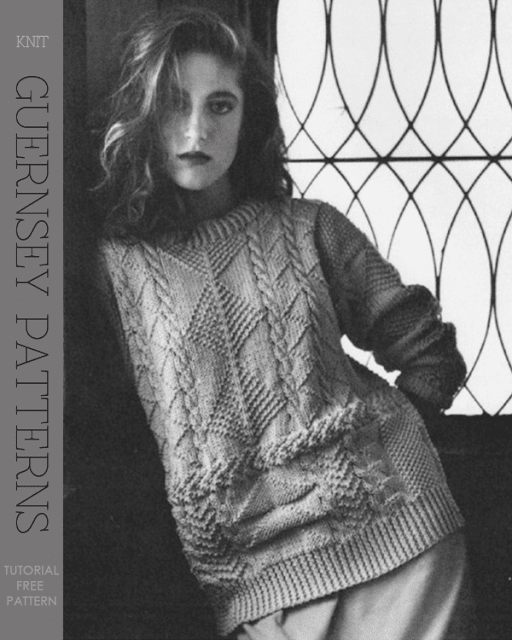 The guernsey was traditionally knit by the fishermen's wives and the family pattern was passed down from mother to daughter through the generations. This practice still exists today. 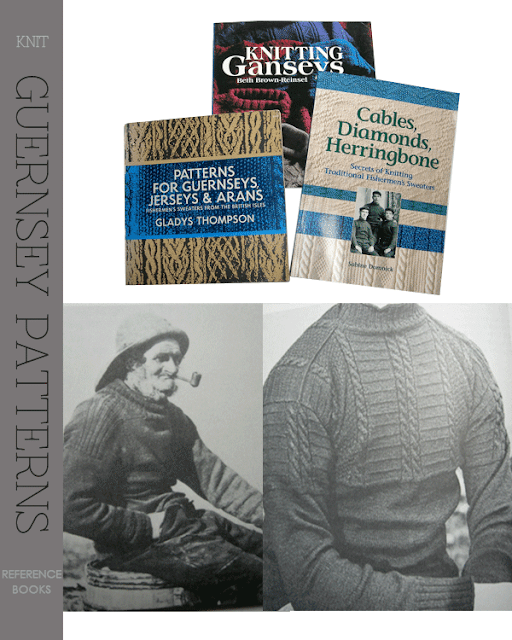 Two styles of guernsey were knit - a plain "working" guernsey for fishing and a "finer" garment, generally saved for special occasions. 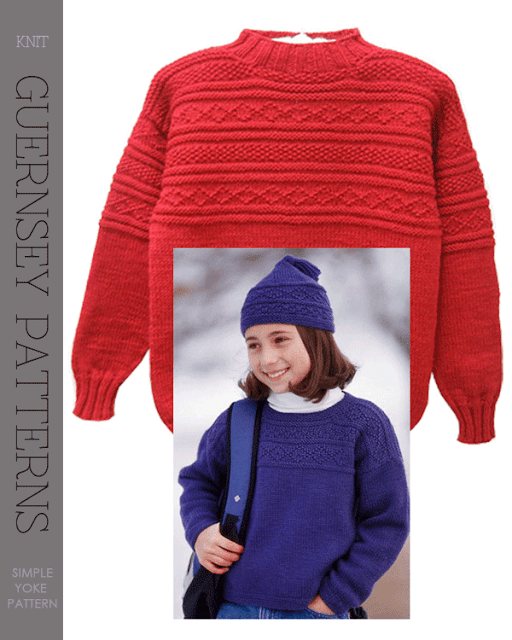 The "working" guernsey design was kept simple using knit and purl stitch patterns in order to reduce the amount of time and materials needed to knit the garment. The "finer" garment had more complex designs showing off a wife's knitting and design skills. 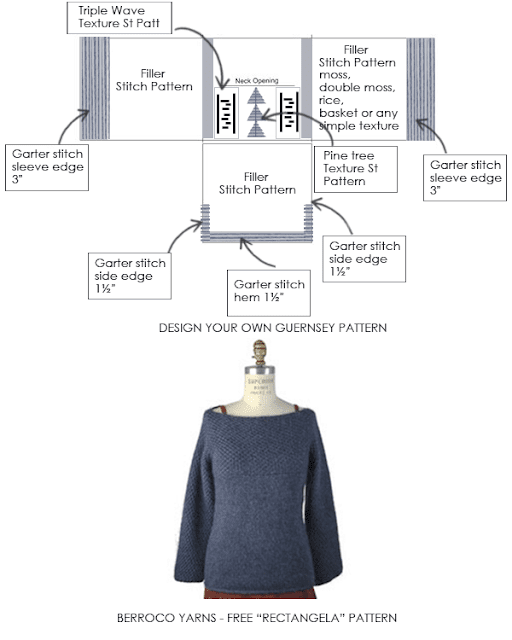 Read further about the stitches used and how to create your own unique guernsey using a free pattern as a base for the design. 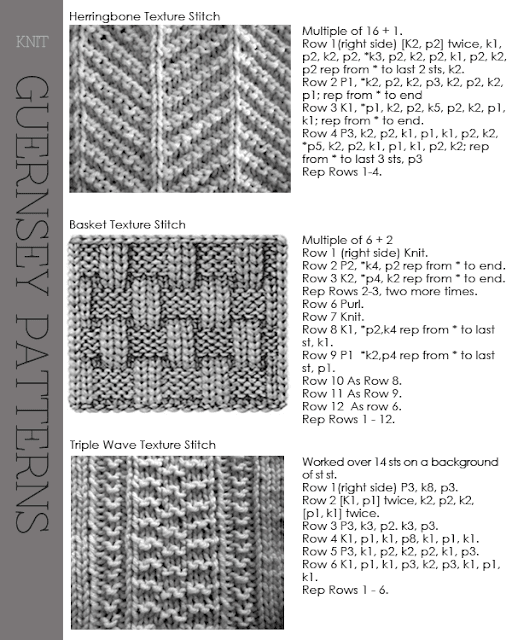 Using the free pattern as the base of your design, pick and choose any of the stitch patterns illustrated below. Why making a swatch is important. 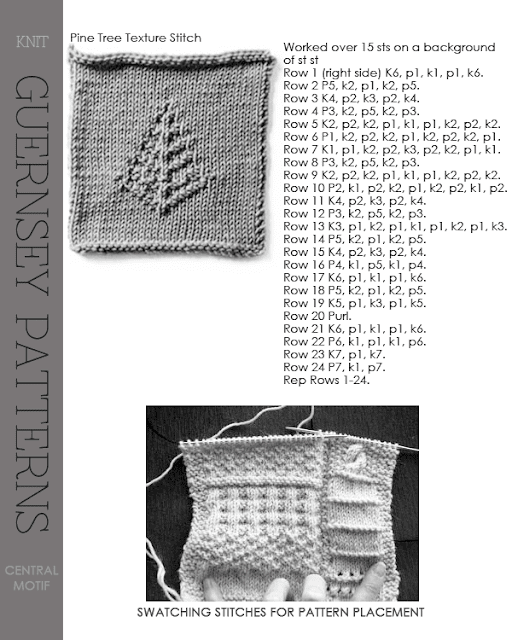 Knitting a swatch with the patterns you want is a good way to see if tension is correct and if the patterns look good together. Want more stitches? 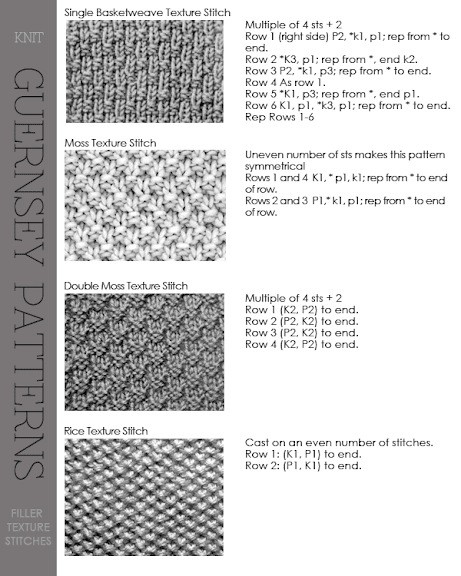 - Read further for more information or click here for a link to site with many more stitch patterns. I’m Daria McGuire. 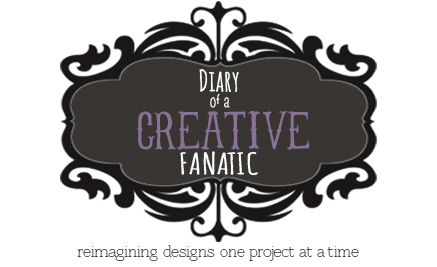 This is a place to share my love of design, my passion for things handmade & living a creative life. © 2012 DiaryofaCreativeFanatic All rights reserved | Designed & Customized by Daria McGuire. Powered by Blogger.